Will Cavali with a new championship belt. It takes an act of bravery to willingly risk your neck within the cage, and sometimes a neck is what you're giving and sometimes it's what you're taking. At Aggressive Combat Championship 10, fans who came down to the York College Arena in Jamaica, Queens on Saturday night got to witness a successful jiu-jitsu instructor risk all for his first taste of caged combat, and they saw firsthand the dominance of a featherweight hell-bent on redemption. From crushing KO's to hard-fought battles, ACC 10 had it all, but ultimately it was about necks given and necks taken, and the bravery on display throughout. Professor Tito Hartz has been the driving force behind quite a few young stalwarts finding success in the crucible of combat known as MMA, but sooner or later the itch to throw down would have the jiu-jitsu black belt and head honcho of the East Coast United schools stepping into the cage, and ACC 10 is where that happened. Unfortunately for Hartz and the legion of students who were there to cheer him on, his seminal MMA bout was against James Gonzalez, and with the edge in experience going to Gonzalez (a brown belt to Hartz's black), and a lightweight title at stake, the Matt Serra-trained Gonzalez would be the one emerging victorious. Back in June, Jungle Gym star Ozzie Perez tasted defeat for the first time in his career. It was a tough pill swallow, especially since Perez has been such a dominant force in the New York City fight scene, so it was inevitable that the road to redemption for the fast-and-furious submission specialist would include him scrapping again. That time came on Saturday night in the form of a rematch with Johnny Castillo. With a 145-pound belt up for grabs, Perez was true to his usual form - a form which employs near-flawless jiu-jitsu and unwavering pressure to hunt down the tap out. Redemption for the first and only blemish on his record came via rear naked choke, and once again Perez is on top. It began as a decent scrap, and ended with one fighter elated and one fighter deflated and lifeless on the canvas. Calvin Harris and Everito Hernandez mixed it up pretty nicely in their bout, going back and forth with the ebb and flow of battle. But once Harris got on top, it was all about the violent fury of his conscious-stealing ground and pound, and Hernandez needed a while to regain the ability to stand upright. Elsewhere on the card, Team Demolition standouts Will Cavali and Tagh Cocoran notched hard-fought kickboxing victories, Nuchem Fisher did his TSMMA compatriots proud, Jungle Gym rookie Anthony Newton shined, and Jon Gonzalez weathered Malcolm Banks' storm to snag the TKO. 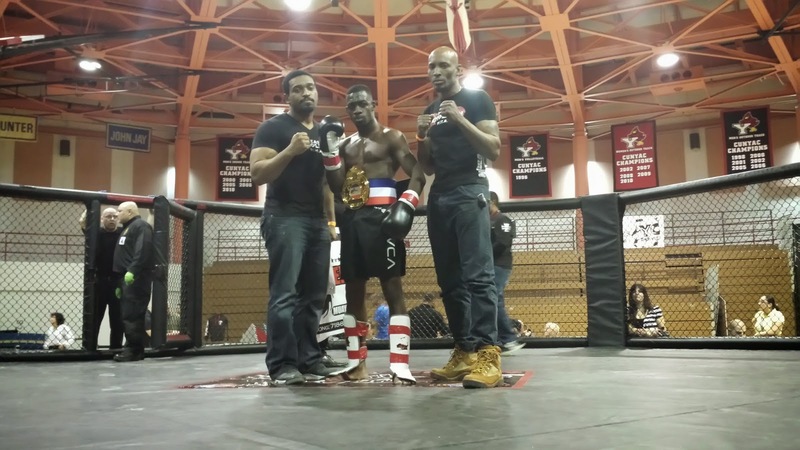 Aggressive Combat Championship 10 provided another outstanding night of fights for the cornerstone NYC promotion. The next ACC installment should be some time in May, and given the organization's run as of late, it will be some must-see mixed martial arts.